The impacts on our environment are becoming more and more evident. And now, there are more and more oganisations pushing for the reduction, boycot or banning of bottled water fullstop! Take Australia’s first bottled water free town, Bundanoon for example. Bundanoon does not sell bottled water and have installed water bubblers and bottle-fill stations around the town and the local school as mentioned in an blog written by the Australian Museum. Will we see a future where our children’s children can only see a plastic water bottle in a museum? Now that is an interesting thought! Youtube is FULL of videos of how to re-purpose plastic water and softdrink bottles into everything from lamp shades, funnels and even string. Considering that only 30% of plastic water bottles are recycled, the rest just ends up in landfill across Australia. Even crushed, a plastic water bottle takes up a lot of space and takes a ages to break down. 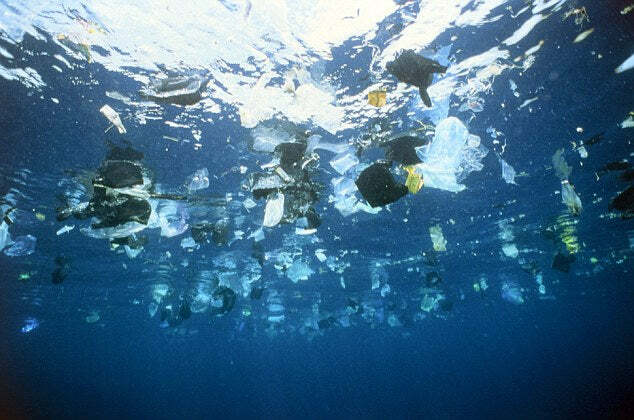 Over 400,000 barrels of oil is used per year in Australia to manufacture the plastic to make the bottles – So… not that great for the environment! Tap water costs 1 cent per litre compared to bottled water which costs $2.53 per litre – It just doesn’t make cents! It takes seven litres of water to make a one litre water bottle – Seems like a waste really. There are 200 billion litres of bottled water consumed worldwide with an estimate of $100 billion dollar – And this stat is from back in 2010…we imagine it would be more 6 years on! And don’t even get us started with the impact on our oceans. It takes 450 years for a plastic water bottle to break down according to Google! Now with ALL of this in mind PLUS the plethora of information and evidence you can find from just conducting a handful of Google searches, it is clear that disposable water bottles are that great. We suggest purchasing a reusable, BPA Free water bottle and refilling it with healthy, filtered water. This will ensure you are not contributing to avoidable environmental damage & you are also saving yourself potentially thousands of $ each and every year.